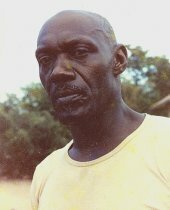 CAREER: "Boots" Davidson was a Tamboo Bamboo player before he began his steelband career. Nicknamed "Boots" because of his large feet, Davidson started his career with Casablanca in the 1940s. He then left Casablanca in 1950 to form City Syncopators on Quarry Street, East Dry River, where, as the captain, he worked tirelessly to gain the band recognition. He was one of eleven panmen selected to join TASPO as the Trinidad & Tobago representatives at the 1951 Music Festival in England. He returned to England in 1955 to teach schoolchildren the art of playing steelband music. While in England, he formed the band Mangrove.